Nutri-Lawn can make it happen. Looking to save time, money and water? Click here to learn how you can save up to 50%. Do you have questions about lawn maintenance and irrigation systems? For over 20 years, Nutri-Lawn has been Burlington’s leader in custom lawn and garden inground sprinkler system design, installation and service and in ecology-friendly lawn care. 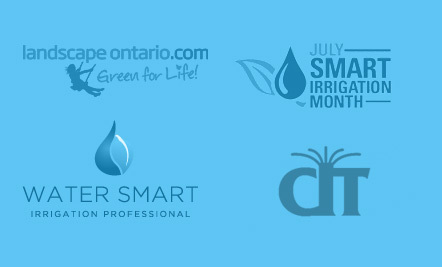 Did you know that not all irrigation companies are created equal? Click to find out why. Are you ready to nourish your lawn and life? Read up with some of our money-saving resources! Kim is extreme helpful and professional on the phone. Tom is also very professional and job is always done well Like follow up comments and notice ahead of time when service will be performed. Just letting you know that Ben from the Burlington branch came by today. Words to describe performance: - Fast, Efficient, Knowledgeable, Deductive, Polite, Skilled The guy was so well trained and didn’t waste a second. Totally impressed. Well I would have done 10 but hey...no one’s perfect! LOL. Seriously you guys have been great and very flexible. Will use you again for our opening and closing plus maintenance of our in ground sprinkler system again. My husband and I both feel everyone who worked on our irrigation system was very professional and helpful showing us how to use the system ... they are all a class act. We would recommend this service to our family and friends in a heartbeat. I just wanted to let you know what a pleasure it has been dealing with your company in every single way. Every person is friendly, informative and willing to accommodate - way above and beyond! Thank you! Thank you, Courtney (Lawn Care Technician), for applying my fall fertilizer service. She gave me a lot of great information about taking care of my lawn. I am very pleased with the Landscape Lighting services. Thank you to Jody and his crew for the great job, as always. My lawn mowing company commented on how nice my lawn has been looking, so I told them I have Nutri-Lawn taking care of it. Thank you so much to the Nutri-Lawn team. Thank you for calling and explaining when the Nematode application for grub reduction will be done. I appreciate the explanation and your time. Thank you for not hesitating to set up a courtesy call to re-spray the weeds. I have already seen the effects of the first fertilizer, and many of my weeds have started to die after an application of Fiesta Weed Control. Thank you! Your Lawn Care Technician Stuart came to fertilize the lawn. I must tell you that he was great. He explained the bent grass, and gave me a lot of tips and answered many of my questions. He really took the time to reassure me that I am doing everything right. Your Lawn Care Technician Brian did a great job with the Nematode application today for grub reduction. Not only is he great with talking to customers, but he’s also knowledgeable with lawn care. Fill out our online form and we will respond to your inquiries within 4 business hours. *This field is required. *This is not a valid phone. I give consent to receive quarterly e-newsletters from Nutri-Lawn. You may withdraw your consent at any time by unsubscribing to our e-newsletters. Thanks!